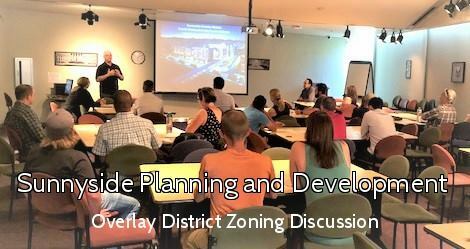 Part 2: Sunnyside Planning and Community Development (PCD) Meeting – Sunnyside United Neighbors Inc. This past summer SUNI PCD began exploring the use of overlay districts to promote and protect the character-defining features of our original Denver neighborhood. Overlay districts work with existing zone districts by adding design and development standards, as well as incentives to achieve desired outcomes in new development as our community continues to evolve. Come check out our progress and share your thoughts and ideas on January 10. Location details to come!